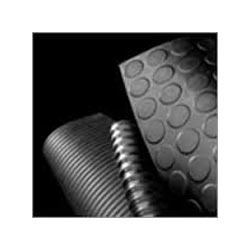 Prominent & Leading Manufacturer from New Delhi, we offer rubber sheets. Under the strict supervision of our experienced professionals, we are offering an innovative collection of Rubber Sheets. These are effective safety devices for workers working at high voltage operations. Our offered range is availed in a variety of sizes, dimensions and other such specifications to choose from. The offered sheets are precisely designed at our highly advanced manufacturing unit following industry defined guidelines. The offered range can also be availed from us at the industry leading prices.